The new Dataweigh EPSILON is designed specifically for the cost-effective weighing and packaging of loose products. The new Dataweigh EPSILON series combination weighers bring together the best features of the SIGMA Series and Yamato’s intelligent OMEGA series in a single affordable machine. 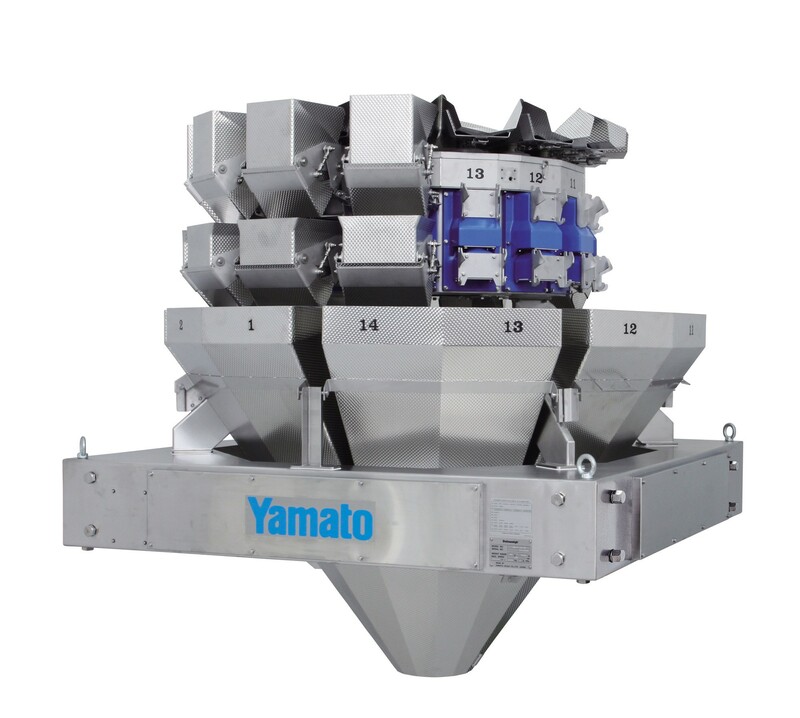 The new multihead weigher increases the weighing options available from Yamato. Maintaining the Dataweigh EPSILON is easy. Buckets and linear feeder pans can be simply removed and re-attached without tools and an auto-inhibit function allows buckets to be removed without stopping the weigher, therefore reducing downtime. Intrinsically hygienic and safe in structure, the Dataweigh EPSILON is IP 66 compliant - making it suitable for harsh environments, such as fresh produce factories or frozen food processors. The buckets have large radius corners which make the weigher easy and quick to clean, also reducing downtime. And the machine is robust, with load cells that can withstand loads of up to 150kg. Operating the new Dataweigh EPSILON is straightforward. A 10.4-inch colour touch screen displays user-friendly icons to enable effortless operation, while a wireless connection for smart phones and tablets is available to allow the user to check and operate the screen remotely. Up to 100 pre-set programs can be stored to memory. The new Dataweigh EPSILON series can be networked with other devices. The machine’s PC can be remotely controlled by any web browser and OS and Wi-Fi connectivity is also available. Feedback control between checkweigher and multihead weigher has improved yield rates and data can be acquired and reviewed in real time via Ethernet.